Back when Callaway first introduced the AeroWagen Corvette Stingray Concept in 2013, some rumors actually suggested that the car was part of an elaborate April Fools’ Day joke. But naysayers didn’t have much time to laugh about the C7-based shooting brake as Callaway didn’t take long to confirm that an actual body kit will be made available. However, while the company promised that the AeroWagen will hit showrooms in 2014, the project was delayed for more than a year. Come 2016 and Callaway says that ordering books for the shooting brake will open soon. To make things even better, the fact that the AeroWagen was delayed is actually great news, as Callaway had time to develop updates for the C7 Stingray as well as the supercharged Z06. Yup, the AeroWagen package is not just for the standard Corvette, it can also be ordered on any Callaway Corvette C7 and Z06. The only rule is that it has to be a coupe. Callaway will begin shipping AeroWagens in the four quarter of 2016. According to company founder Reeves Callaway, sales to customers will start after the company gets some experience performing the conversions, Autoblog reports. This could mean further delays, but we remain confident that the first AeroWagens will hit public roads by the end of 2016. Continue reading to learn more about the Callaway Corvette AeroWagen. Styling-wise, the AeroWagen will remain unchanged for the most part except for the new roof. Callaway will actually modify only the rear section of the top, leaving the area between the A- and B-pillar untouched. The new roof is a single piece of carbon-fiber and will use the original seal, hinge, and latch mechanism from the Vette’s standard hatch. This means that buyers can revert back to the original design. The shooting brake roof will give the Corvette a sleeker appearance, but will also reduce the car’s drag coefficient. It will also make it lighter than the standard car due to carbon construction. Specific data isn’t yet available, but we’ll be back as soon as Callaway spills the beans. Other than that, the way one AeroWagen will look depends on the base model. Both the standard Corvette and Z06 will carry over with their stock components. There are no photos of the Z06 AeroWagen as of this writing, but it’s safe to assume it will look a lot more aggressive than its standard sibling. Should pick a Corvette with a certain Callaway package as a base car, you’ll also get the exterior goodies that come with it. Depending on your model of choice, the AeroWagen could end up with Callaway badges, nine-spoke alloy wheels, carbon-fiber emblems, and bespoke exhaust pipes. No matter the base car, the Callaway AeroWagen will surely steal the show at your local Corvette meeting. The interior of the AeroWagen will also remain unchanged except for the area under the new roof section. This means that interior features will depend on whether your conversion is a Corvette Stingray or a Z06. Callaway says that the new configuration should offer significantly more cargo area volume, but actual figures aren’t yet available. Some updates will come if you select one of Callaway’s updated Corvettes as a base model. Standard features will include Callaway embroidered floor mats, door sill panels, badging, and key fob. Optionally, you can has a Callaway ShortThrow shifter instead of the standard unit. Before you ask, Callaway has already made it clear that it cannot add seats in the cargo area. A four-door version is out of the question too. The AeroWagen package won’t do much to improve the Corvette’s performance, but customers will get to choose between no fewer than five configurations. 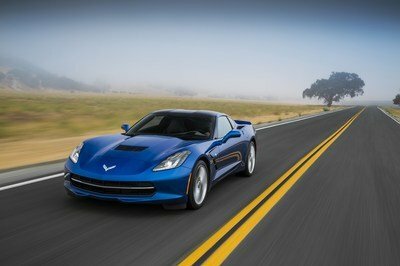 Models based on the standard Stingray will come with the 6.2-liter V-8’s stock 455 horsepower and 460 pound-feet of torque, while AeroWagens with the the Z51 upgrade will get 460 horses and 465 pound-feet. 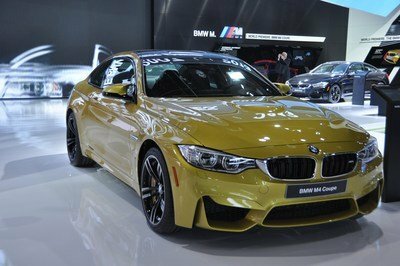 Both cars will keep their standard transmissions, which include the seven-speed manual, the six-speed automatic offered in 2014, and the eight-speed automatic introduced in 2015. Those in need of a more powerful AeroWagen can have the kit installed on Callaway’s SC627 upgrade for the Corvette Stingray. The update adds a supercharger and other performance parts, increasing output to 627 horsepower and 610 pound-feet of torque. Specs aren’t yet available, but the regular SC627 needs only 3.4 seconds to hit 60 mph from a standing start. If you prefer the factory-built supercharged Vette you can always buy a Z06 and take it to Callaway. This race car for the road also uses a supercharged, 6.2-liter V-8, but relies on 650 horses and 650 pound-feet. Lastly, there’s the Callaway SC757 update, which takes the Z06’s output to an amazing 757 horsepower and 777 pound-feet of twist. The regular coupe hits 60 mph in 2.8 seconds, nearly two tenths quicker than the standard Z06, and covers the quarter-mile in 10.5 ticks at 131 mph. Official pricing information has yet to be released, but Callaway told Autoblog that the AeroWagen package will cost "less than $15,000," which is a significant reduction compared to the initial $22,995 estimate. Of course, the sticker doesn’t include the Corvette that will be used for the conversion. With the standard Corvette priced from $56,395 for the 2016 model year, the most affordable AeroWagen should cost a little over $70,000. Opt for a model equipped with the Z51 Performance Package and pricing will start at around $76,000. A Z06-based AeroWagon will fetch around $84,000 before options. Moving over to Callaway-modified Corvettes, the SC627 package will add another $17,995 to the sticker, taking the final retail price to around $88,000. The SC757 package developed for the Z06 costs $16,995, which means that an AeroWagon based on this model will cost at leats $101,000. Each model will probably come with Callaway’s standard three-year or 36,000-mile warranty. Optionally, customers will be able to buy a five-year or 60,000 mile Limited Powertrain Service Contract. Shooting brakes have always been a rare breed, and that hasn’t changed much in the 21st century. Four-door, wagon-like choice include the CLA and CLS Shooting Brake, as well as their AMG-prepped siblings, but when it comes to two-door, high-performance models the Ferrari GTC4Lusso is the only option to have in 2016. Previously known as the FF, the GTC4Lusso feature mild upgrades inside and out compared to its predecessor, as well as a more powerful drivetrain. 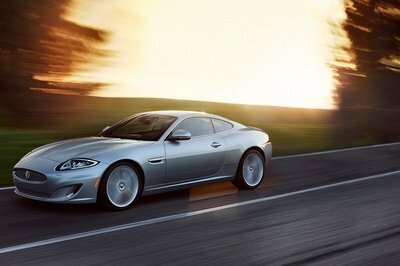 Motivated by the same 6.3-liter V-12, the GCT4Lusso comes with 670 horsepower and 514 pound-feet of torque on tap, a 19-horsepower and 11-pound-feet increase over the FF. 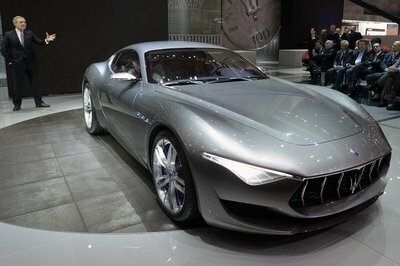 Sprinting from 0 to 62 mph takes 3.4 seconds in this Italian shooting brake, while top speed comes in at 209 mph. Pricing is not yet available, but it should start from around $310,000, which makes the GTC4Lusso hugely expensive compared to the Callaway AeroWagen. 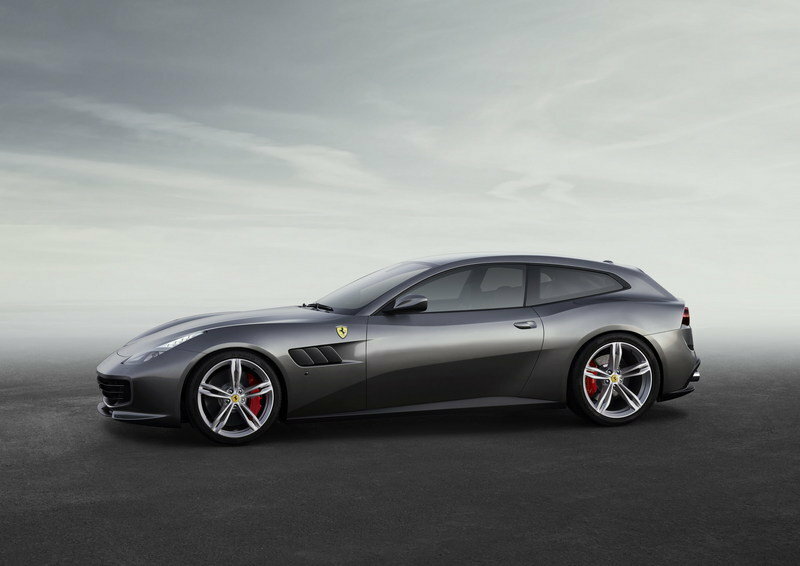 Find out more about the Ferrari GTC4Lusso here. 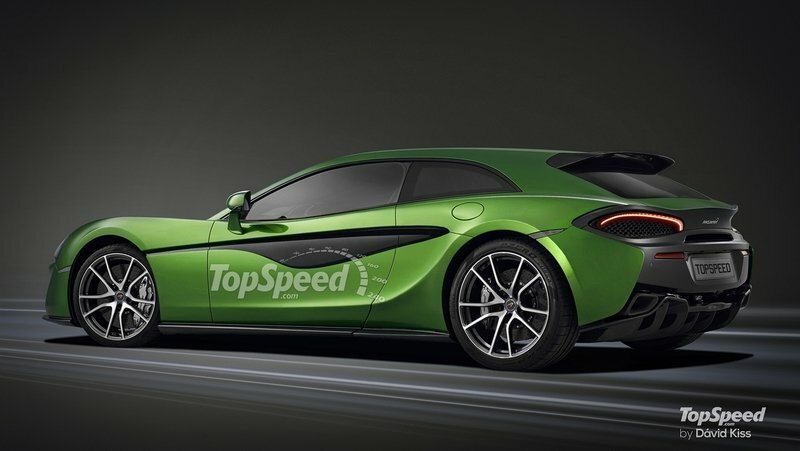 This one’s not yet available and we don’t even have a name for it, but McLaren is rumored to be working on a 570S with extra luggage room. The design should remain true to the 570S Coupe except for the modified roof, while the interior should come with just about the same features, plus a little more space behind the seats. Under the hood, the British shooting brake should get the twin-turbo, 3.8-liter V-8 offered in the just about any McLaren on the market right now. 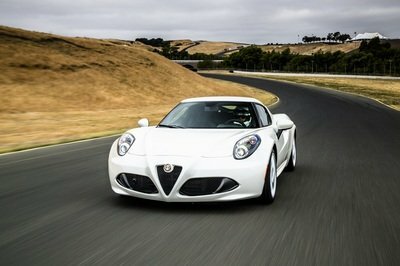 The mill generates up to 562 horsepower and 443 pound-feet of torque in the Sports Series and should enable the car to hit 62 mph from a standing start in about 3.5 seconds. Top speed will likely sit at around 200 mph. Pricing should be set at about $200,000 before options. Read more about the McLaren Sports Series Shooting Brake in our speculative review here. If the Callaway AeroWagen hits the street by the end of the year, it will earn a place in my personal Top 5 cars launched in 2016. It’s that cool! I mean, what’s not to like about it? First of all, it’s a Corvette. Second, it can be had with up to 757 horsepower that’s to Callaway’s range-topping package for the Z06. Third, is really affordable when you compared it to the Ferrari GTC4Lusso and quicker in certain configurations. If you ask me, there are only two body features that make a Corvette C7 cooler than it already is. One is a rear wing and the other is this sleek roof right here. It took Callaway more than two years to put the AeroWagen into production, and I’m sure glad it finally did. The AeroWagon will probably catch on with many Corvette drivers given the lack of shooting brakes and the massive price tag of the only high-performance model available right now.